Marquer le coup | One quality, the finest. I n the summer program I work at, it’s important to do something to mark their birthdays. Sometimes parents will contact us with a list of requests, other times, it’s up to us to highlight the importance of the day with banners, balloons, candles, and cake. The French expression for marking an important event, particularly a birthday is marquer le coup (mar-kay luh koo). 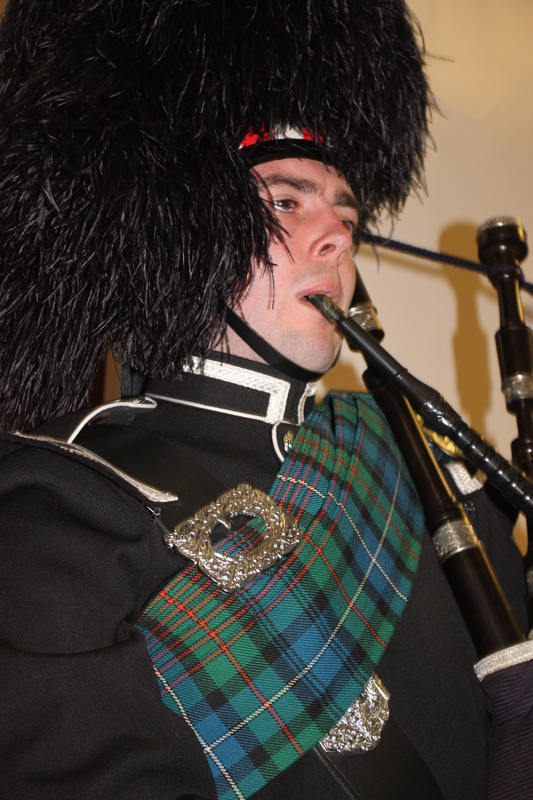 This week, one of our birthdays happened to fall on the day that the official piper for St. Andrews University was here. The piper told us about the history of the pipes in warfare and their cultural spread, including France. I’m afraid that we won’t be able to deliver such grandeur to mark the day each time, but it was grand while we could. This entry was posted in French Vocabulary, Music and tagged bagpipes, marquer le coup. Bookmark the permalink.